Was your iMac recently exposed to any kind of water and/or liquid? 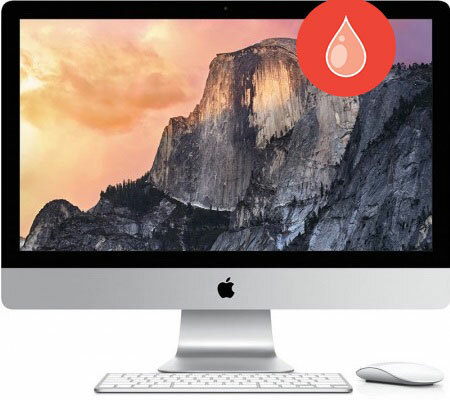 If so, our iMac water/liquid damage repair service is what you need! Trained AppleSolution technicians put your iMac through a thorough drying and cleaning process, a process that verifies each component's ability to function properly. Once your iMac has been fully diagnosed, a technician will contact you with a repair quote and pick up date. If for any reason you choose not to proceed beyond diagnostics, or your iMac is not repairable, you are never charged for our iMac water/liquid damage diagnostic services!